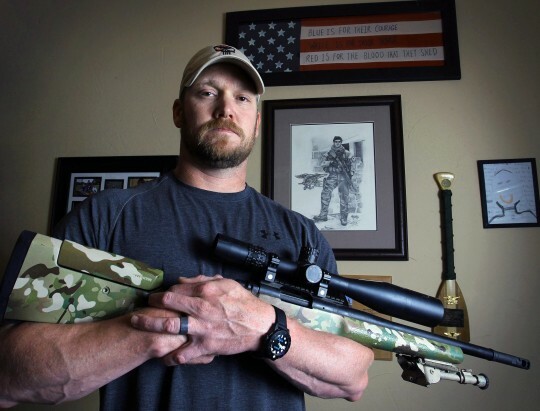 A student group at the University of Maryland canceled screenings of American Sniper after a petition against the movie was circulated by the school's Muslim Student Association. Student Entertainment Events (SEE) announced the cancellation of all the May screenings of the movie on Wednesday. The group said they would try to schedule an alternative event in the future, the Baltimore Sun reports. SEE said it was contemplating "an event where students can engage in constructive and moderated dialogues about the controversial topics proposed in the film." "SEE supports freedom of expression and hopes to create space for the airing of opposing viewpoints and differing perceptions," the group wrote. "While not easy, we want to start having these hard conversations." More than 300 people signed a petition started by the Muslim Student Association that describes the film as "war propaganda guised as art reveals a not-so-discreet Islamaphobic, violent, and racist nationalist ideology." "This movie dehumanizes Muslim individuals, promotes the idea of senseless mass murder, and portrays negative and inaccurate stereotypes," the creators of the petition wrote. "This movie serves to do nothing but make a mockery out of such immense pain." The College Republicans were upset with the decision to cancel the screenings. The group's president expressed outrage at the cancelation to Fox News's Todd Starnes. Breyer Hillegas, president of the university’s College Republicans, told me he was furious about the cancellation. "Universities are always trying to satisfy the political correctness police and worry about who they might offend – rather than standing up for principle and the First Amendment of the Constitution," Hillegas told me. He said the College Republicans had been behind the effort to convince SEE to show the film. "If the university prevents a movie like that from being show – it promotes intolerance and stifles dialogue and debate – and goes directly against the atmosphere that the University of Maryland is supposed to support," he said. The University of Maryland said it has no control over the SEE or what movies it shows. UPDATE: Former NFL quarterback and University of Maryland alumni Boomer Esiason threatened to cut off his donations to the school over the incident. This entry was posted in Culture and tagged American Sniper, Chris Kyle. Bookmark the permalink.